yeah rick-the ribbon is certainly the same-so LS, I think you're right. This is _not_ a frack bar. It seems to be an elderly NCO from Baden who thinks his Erinnerungsmedaillen 1902 and 1897 are better than his two long service decorations. Are these two long service awards? I cannot recognize the 3rd award but think he wears Baden's long service decorations IInd and IIIrd class. If it was a "proper" frack bar in strange mounting the two Erinnerungsmedaillen should be the other way around - for an NCO! 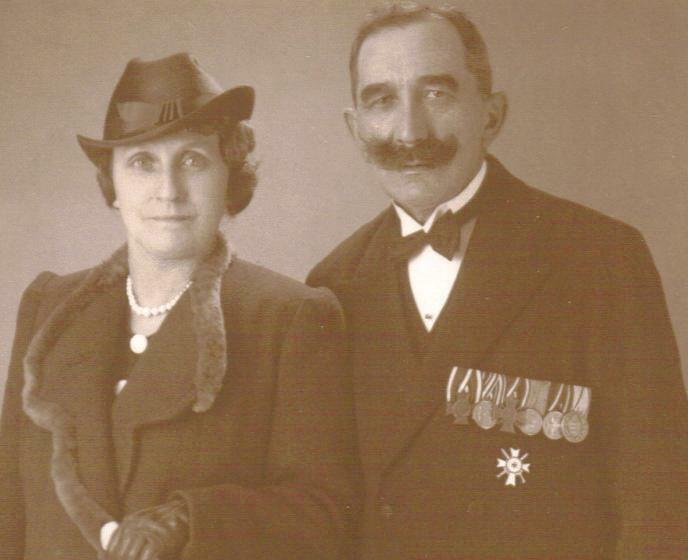 Promoted to officer they would change, but he's (still) a Baden NCO, on _his_ bar the 1902 outranks the 1897 medal. 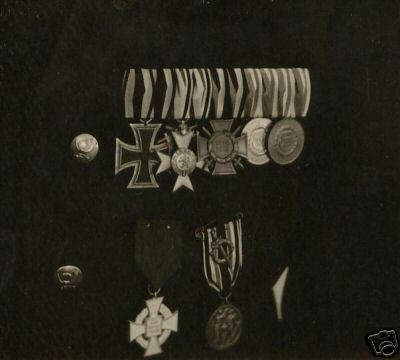 Take a close look at bars with both: Baden officers wear the Prussian medal first as they were "royal Prussian officers" and the Baden medal was an "foreign award" - stupid Milit?rkonvention 1871! 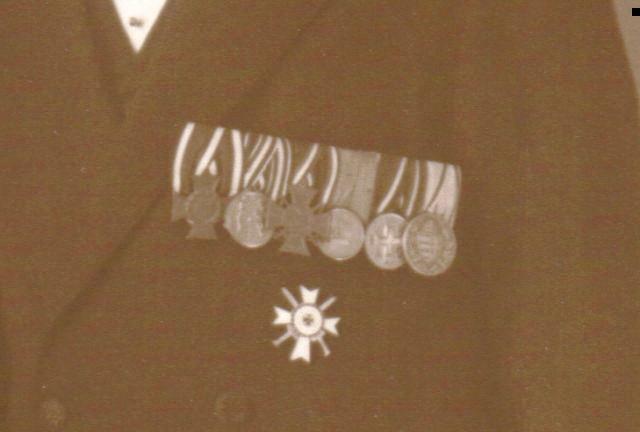 Why isn't it a frack bar in your opinion:the trapazoidal construction or precedence order of the medals? To me, frack means the order in which they are mounted. 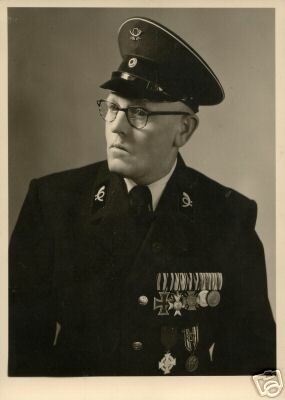 This man is a feldwebel-collar tresses, big button on collar, enlisted straps, sword knot etc. Nono, it may be a "frack bar" in common mounting, those are unusual but exist. I'm talking about precedence. This is not the right precedence for a Baden NCO, the 1902 and 1897 medals should be the other way round. Here it's just the wrong place for the long service medals. 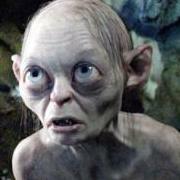 Maybe he remembered where they used to be before 1913 - he had back then a DA-Schnalle, for sure! Those were on last position, weren't they ... ? Ah- jetzt verstehe ich...so for an NCO the prussian EM was in last place. This Bavarian postman uses the double LS awards. 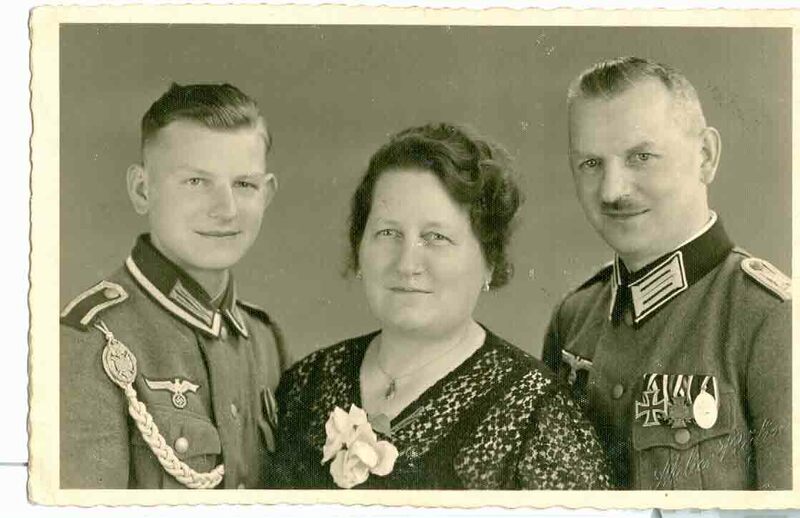 Is that a postwar uniform, with the Treudienst M1957? Looks to me like the standard 3rd Reich issue loyal service being worn backwards. Certainly a political statement, then. His Bavarian M.V.O. Cross is on backwards as well!! 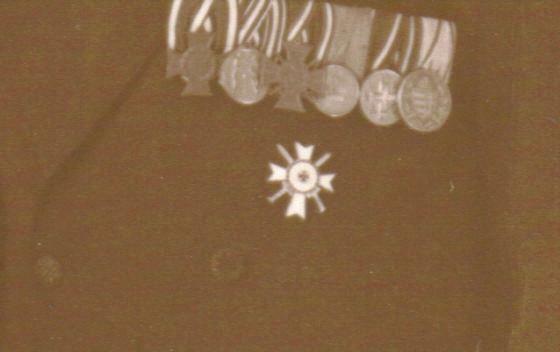 And he seems very proud of his old German Legion of Honor with Combatant Insignia as well. I don't have any reference pictures of the 1957 types of this award. 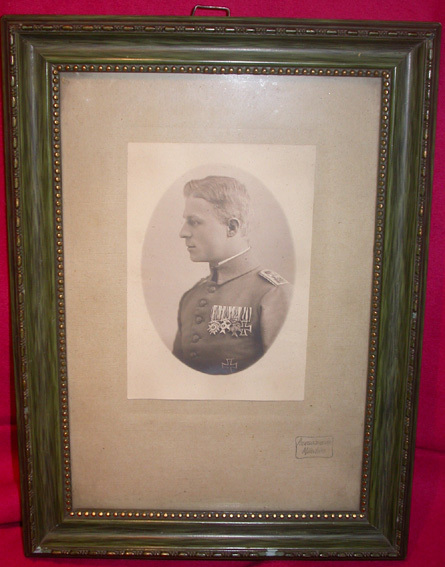 I guess the bar is as he war it throughout the 1930s and war, sometime he got the Treudienst but never got around to mounting it and then sometime long after the war he went for a studio photo and took everything he had in the drawer to wear for it. This is my best "mistake" photo. I call him "The Naughty Bavarian"
Fahnrich, Sergeant and then Lt? 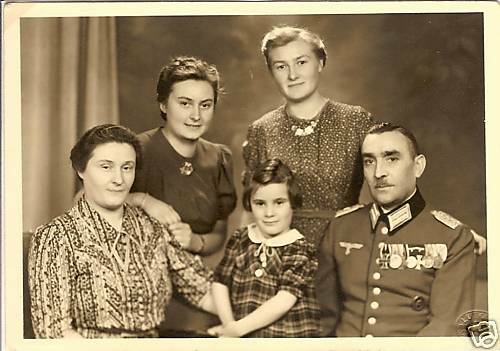 Taken on November 15, 1938. A close up at higher resolution....from the interim 1934-35 period and too cheap to update it. 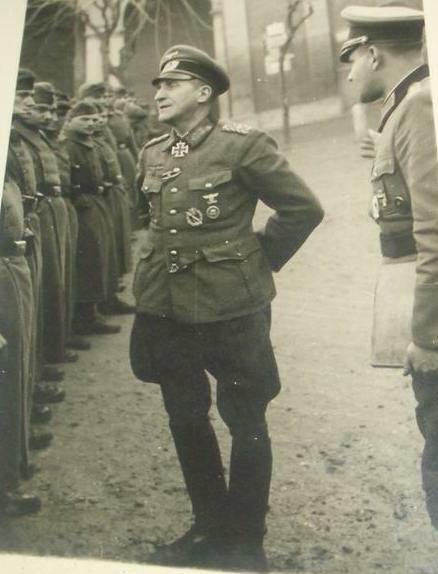 He probably got booted out of the Stahlhelm/SA Reserve after the 1936/37 "coordination"/purge. how clear is the original pic? any chance of a closeup of the vet's pinback? i'd be interested to see which version it is (there were three). another mistake in wear-this time from @ 1940. Just got this one today.